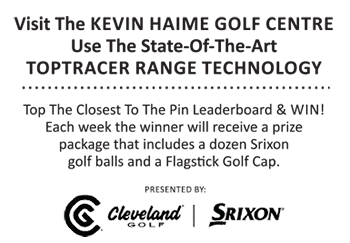 The Marshes Golf Club played host to the 2018 Pro-Pro Championship on the PGA of Canada – Ottawa Zone’s Flagstick.com Players Tour on Monday, July 30th. Thirty teams of local professional golfers tipped it up under sunny skies on the Robert Trent Jones design located in the Kanata North Business Park. Boutique Pro Golf Buying Group sponsored this championship and the company was represented by BPG special events and members’ service manager Dominik Boucher. Nineteen teams of two professionals played in the championship division and for the first time eleven teams of senior professionals played in their own division. The format was six holes of best ball, six holes of modified Chapman and six holes of scramble golf and judging by the scores and the comments of the participants, the event was a success. After all the scores were posted in the championship division, the team of Scott Mikkelson from the GreyHawk Golf Club and Graham Gunn from the White Sands Golf Course & Practice Centre emerged as the winner with a score of 63 which was 9 under par. An emotional Scott Mikkelson spoke for the winning team and he thanked his fellow professionals for their participation as well as The Marshes Staff under The Marshes Director of Golf Derek MacDonald as well as the superb course conditioning provided by Head Greenkeeper Phil Auger and his staff. Scott also thanked Dominik Boucher for the sponsorship by the BPG Buying Group and also the area’s new Adidas rep Jimmy Venturi for the golf shirts given out at the first tee. Tied for second place in the championship division were the teams of Joe Diflorio of GolfTec Ottawa teamed with Jon Stevenson from the Pineview Golf Club and 2017 Pro-Pro Champions Bill Keating and Lee Curry from the Camelot Golf & Country Club with their scores of 7 under par, 65. Taking home cheques for 4th place with their score of 6 under par, 66 was the team of Terry Cowan from Eagle Creek and Carson Scissons from The Marshes. 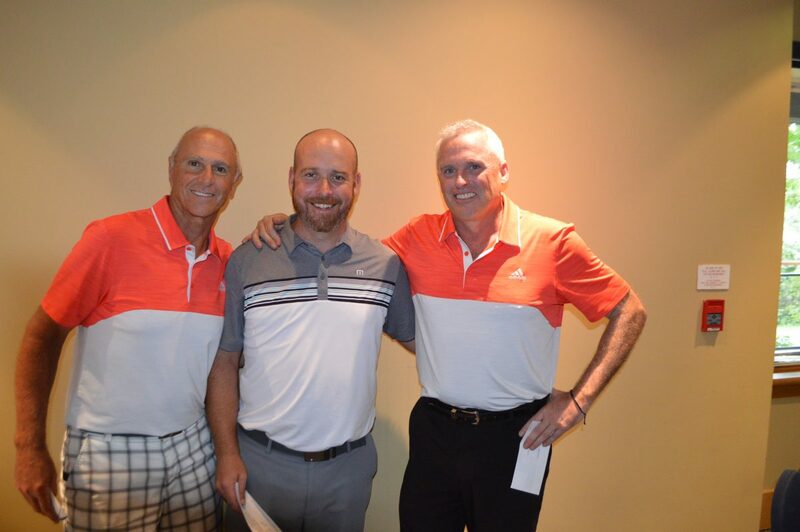 With their score of 8 under par 64, the senior team of Dave Kalil from the Ottawa Hunt & Golf Club and John Watson from Golf-O-Max took home the first place cheques. One stroke off the winning score with their score of 7 under par 65 was the team of Marc Foucault from Lac Ste-Marie and Bob Flaro from the Rivermead Golf Club. PGA of Canada – Ottawa Zone Executive Director Carol Ann Baxter billed this Pro-Pro Championship on the Flagstick.com Players Tour a “Fun” day and judging by the final scores and the smiling faces at the dinner tables, her call was correct. Every team was competitive, the course was in ideal shape and the weather conditions were perfect and to top off the day, nobody was physically at work. Next up for the PGA of Canada – Ottawa Zone Professionals is their Zone Championship at the Kanata Golf & Country Club on Sunday, August 12 and Monday, August 13th.